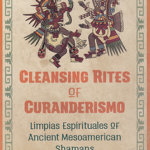 Sacred Messengers of Shamanic Africa takes us to humanities original homeland and explores the energies and messengers that dwell along the 31st meridian, known as the spine of Mother Earth; a place that may be unfamiliar to some from a spiritual point of view and also where the origins of our Shamanic consciousness are to be found. 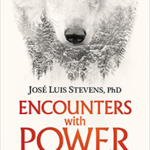 The authors relate a sacred and learning journey of transformation with Africa’s spirit animals; focusing mainly on Lion, Elephant, Giraffe and Hyena but referencing others as well. They also explore sacred sites such as the megalithic structure known as ‘Adam’s Calendar’ and the teachings of the ancient Baobab Tree of Life. 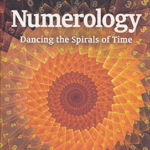 This well written and often profound book tells an absorbing tale, taking the reader on guided shamanic visions, exploring dreamtime and telling of meetings with inspirational indigenous healers; it also reminds us that, as it says in African myth, we are all woven into the same fabric of creation; we all sleep under the same blanket. 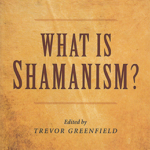 By using Shamanic breath work and by connecting with the strength, wisdom, compassion and even the shadow side of these spirit beings we can heal trauma, tune in to the natural, holistic world, understand patterns of change in our lives, learn of the various aspects of our inner warrior and many other techniques of use in our individual shamanic working. 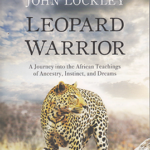 In a sometimes very personal account of their experiences, the authors take us on an illuminating safari into both the physical and spirit worlds, examining the wonders to be found along this ancient geographical and sacred track way. 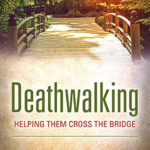 The result is a fascinating book that would be a worthwhile addition to anyone’s shelves. 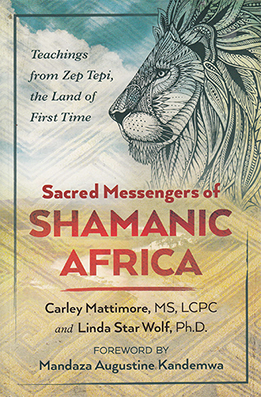 Review Details: Sacred Messengers of Shamanic Africa was reviewed by Martin Pallot and the review was published in Issue 38 of Indie Shaman.